As the new masters of mergers and acquisitions, CFOs—and finance departments in general—are experiencing increasing pressure to create value for their firms. But a growing pool of research shows that some time, the question of whether M&As actually create value can be decided by a coin toss. In an increasingly competitive business atmosphere, where profits and growth are harder to come by, collaborative sourcing is a way for companies to see increased profit margins by viewing their sourcing process more strategically. In the wake of the Great Recession, CFOs are increasingly becoming more integral to their firm’s merger and acquisition deals than ever before. As CFOs shoulder more responsibility within their organizations, increased coordination and collaboration with CEOs matters more. As a CFO, it’s easy to be deluged by data. From financial reporting to compliance-related data, you’re awash in a sea of figures. But as seasoned CFO realizes, not all metrics are created equal. Doug Stewart is an example of a CFO who has worked at every level of his firm’s finance organization. As CFO at Superior Oil, a 75-year-old provider of industrial products and services based in Indianapolis and with 11 locations across the U.S., Stewart has his hands full. But his experience along the way has prepared him well for the task at hand. What does the truck driver shortage mean for CFOs? We asked this question to one of our most trusted partners and knowledge sources on the issue: Brad Stewart, president of Rockfarm, and leader of the firm’s overall supply chain value initiatives. Boen is the CFO of IMMI, an industry leader in the design, testing, and manufacturing of advanced safety systems based in Westfield, Indiana. In this interview with Vantage, he talks about why CFOs should get to know many business areas, invest time in their team and the importance of getting to know your CEO. Redefining stewardship. All of the changes and shifts that are taking place in the CFO’s role can be captured by those two words. Firms and companies are redefining what it means to be a steward, and thus what it means to be a CFO. 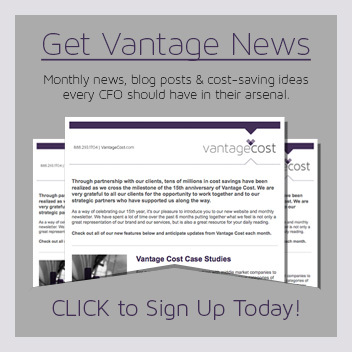 At Vantage, we’re constantly picking the brains of the CFOs we work with everyday. 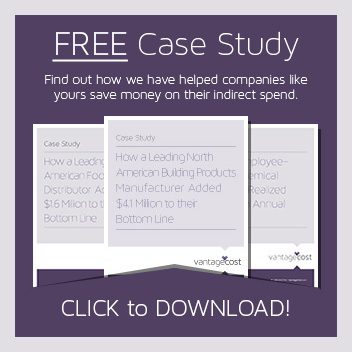 Because CFOs are often in the trenches and can’t always interact with other CFOs outside their industry vertical, we see helping you connect the dots of industry trends and news as one way we can add value. It’s about giving you a better vantage point.